Essays help you to know more about any topic. If you are given an article to write an assignment, then you need to write well to secure good marks. It will help you to submerge yourself in the knowledge regarding the topic. Not only your skills are tested, but your ability to think critically also checks when you write an essay. Writing an article on Political Science can be tough. You get to question about foreign policies, revolution and much more. While writing an essay, specific questions can pop up in your mind. The first issue can be the fact of where to start your article. You may gather all the information, but you might not know how to write the introductory part of your essay. You might not know how to organise the information that you have gathered. The final problem knows when to draw the line between the news that you have and your personal views. Your essay should be crisp and proper so that it grabs the attention of the reader. But these problems can be solved if you follow specific guidelines. A proper introduction must be there when you start an essay. Usually, an article is given to you so that you can learn more about the topic. You are judged by the theme and how valid it is. But to start, you have to know what the article demands. You have to understand what issues you have to address in the essay. You will get both factual as well as conceptual information for your theme. It is up to you to understand the problem and use both kinds of information in your article in right proportions. It is essential for you to be selective. You don’t have to use all the information that you have in one essay. Your professor is just trying to evaluate your concept through articles. The most critical step is to identify the significant question. You cannot place your arguments if you are unaware of the essay question. Some people might feel that incorporating just the information in the essay might be enough. But professors, who experience, will not be satisfied with your work. You have to spend time on the factual or conceptual information that will provide along with the form of the given data. Only then, you will be able to write your essay correctly. A good beginning leads to a significant end. 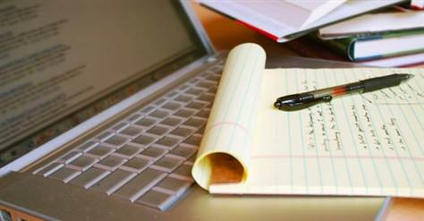 You have to arrange your thoughts and information before you start writing an essay. You have to spend a significant amount of time to sketch out the whole schema of the article. Whether it is a flow chart or diagram, you can use anything to arrange the information that you have. The length of an essay should not be a significant factor. Of course, you can’t just write a few words. But if you keep on writing pages after pages without any meaning then it would not help you to get any extra credit. Instead, you might fall into problems. The underlying schema of an essay is very simple. You have to have an introductory paragraph which is to follow by two or three substantive sections. In the end, you need to have a conclusion as well. The introductory paragraph will help you to introduce the ideas on which you are writing the essay. The items that come after that will help you to provide more insight regarding these plans. The conclusion will help the reader to wrap up all the thoughts into a coherent whole. Usually, a catchy opening statement is preferred by readers. The catchy statement should follow by a few more sentences in the introductory paragraph which supports the assertion. The body of the essay should neatly arrange. Each item should thoroughly explain a point. The conclusion will provide you with closure but need to be careful that your sentences should not sound repetitive. Essays are not given to prove one’s penmanship skills. It helps the evaluator to know your level of knowledge. Only writing whatever has taught in class is not enough. You need to develop your own set of views on the given topic. But your opinions should be supported by proper evidence and should be well structured. Usually, in case of political essays, conceptual problems do not one particular answer. In this kind of article, your views should expresses, after you have attended the lectures on the given topic, in a sophisticated manner. Only factual information is not enough. You need to get creative with your essays. Your accurate information should be tested using questionnaires and other formats of examination. However, you need to follow specific rules when it comes to thinking creatively. You need to make an argument and not just use dates in your political science essay. You have to place your arguments regarding a particular point of view. The next step is to provide substantial information to support your argument. The information that you have to offer should not be vague as it will mislead the reader. Then you have to improve your style of writing. You don’t have to write a sonnet, but you have to show creativity in the form of your book. The presentation is critical, and due to that reason, some essays which may be poor regarding facts can get excellent marks as it present in a well-structured manner. You have to answer the question that is present in the essay; the issues that you encounter needs to tackle adequately. Your points should be crisp and should lead back to the main argument. The leading case needs to address all the significant questions. These are some guidelines you need to follow to write an excellent political science essay or research paper. Your essay will inevitably turn out to be a great one when you follow the guidelines mentioned above.